The official 2017-2018 DVSA driving test pass rates, routes and addresses for your local driving test centres London & South East. Want to know your local driving test centre with the highest 2018 practical test centre pass rate? Date updated: 17th September 2018. Please remember to check your confirmation email for any changes to your London & South East driving test centre address prior to your test. We would always suggest arriving for your practical car driving test in good time, approximately 10 minutes before the time of your test is a good guideline. Remember to give yourself enough time to get to the test centre allowing for traffic and roadworks etc. If you are late for your test you may not be allowed to take your test and you will lose your test fee. Greater London DVSA Practical Driving Test Centres. Your local driving instructor, email us to add your driving schools details here. Ashford (Middlesex) Practical Driving Test Centre. 18/19 Fir Tree Place Church Road Ashford Middlesex TW15 2PH. Additional information: Toilets facilities are not available. Please note there are no car parking spaces available. Pass Rates at this Driving Test Centre. Driving Test Pass Rates Ashford Driving Test Centre. New 2017-2018 Car Pass Rate is 50.8% or by simply using The Driving Test Secret you can this increases to 75.8%, what are you waiting for? Want to pass your driving test 1st time? Click here for information on how you can pass your driving test 1st time by using DVSA ADI devised The Driving Test “SECRET”. Erith MPTC Driving Test Centre. Crabtree Manorway North Belvedere Kent DA17 6LJ. Additional information: Toilets facilities are available. Car parking spaces are available. Pass Rates at this Driving Test Centre. Driving Test Pass Rates Erith Driving Test Centre. New 2017-2018 Car Pass Rate is only 30.6% or by simply using The Driving Test Secret you can this increases to 55.6%*. Want to pass your driving test 1st time?? Click here for information on how to pass your driving test 1st time by using DVSA ADI devised The Driving Test “SECRET”. “I just used The Driving Test Secret for a few minutes every day and they really worked”. Chingford Practical Driving Test Centre. Doric House 128 Station Road Chingford E4 6AD. Bad weather telephone number:02085 296832 Pass Rates at this Driving Test Centre. Additional information: Toilets facilities are available. Car parking spaces are available (limited). Driving Test Pass Rates Chingford Driving Test Centre. New 2017-2018 Car Pass Rate is 35.4% or by simply using The Driving Test Secret you can this increases to 60.4%*, what are you waiting for? Want to pass your driving test 1st time? Click here for information on how to pass your driving test 1st time by using DVSA ADI devised The Driving Test “SECRET”. Croydon Practical Driving Test Centre. 111 Canterbury Road Croydon Greater London CR0 3HH. Additional information: Toilets facilities are available. Car parking spaces are available (limited). Pass Rates at this Driving Test Centre. Driving Test Pass Rates Croydon Driving Test Centre. New 2017-2018 Car Pass Rate is 37.6% or by simply using The Driving Test Secret you can this increases to 62.6%*, what are you waiting for? Want to pass your driving test 1st time? Click here for information on how to pass your driving test 1st time by using DVSA ADI devised The Driving Test “SECRET”. Enfield MPTC Driving Test Centre. Solar Way Innova Park Business Centre Enfield Middlesex EN3 7XY. Additional information: Car parking spaces are available. Toilet facilities are available. Pass Rates at this Driving Test Centre. Driving Test Pass Rates Enfield Driving Test Centre. New 2017-2018 Car Pass Rate is 36.1% or by simply using The Driving Test Secret you can this increases to 61.1%*, what are you waiting for? Want to pass your driving test 1st time? Click here for information on how to pass your driving test 1st time by using DVSA ADI devised The Driving Test “SECRET”. “I just used The Driving Test Secret Revision Cards for a few minutes every day and they really worked”. Isleworth Practical Driving Test Centre. Additional information: Toilets facilities are not available. Car parking spaces are available. Arrangements can be made at this test centre if you have a disability. Please contact the DVSA to arrange prior to your test. Pass Rates at this Driving Test Centre. Driving Test Pass Rates Isleworth Driving Test Centre. New 2017-2018 Car Pass Rate is 42.4% or by simply using The Driving Test Secret you can this increases to 67.4%*, what are you waiting for? Want to pass your driving test 1st time? Click here for further information on how to pass your Driving Test 1st time. by using DVSA ADI devised The Driving Test “SECRET”. Mill Hill Practical Driving Test Centre. Unit 9 Grannard Business Centre Bunns Lane Mill Hill London NW7 2DQ. Driving Test Pass Rates Mill Hill Driving Test Centre. New 2017-2018 Car Pass Rate is 43.2% or by simply using The Driving Test Secret you can this increases to 68.2% *, what are you waiting for? Want to pass your driving test 1st time? Click here for information on how to pass your driving test 1st time by using DVSA ADI devised The Driving Test “SECRET”. PLAN AHEAD! Planning is really one of the most important tips we can give you, as it really can avoid so many problems. Planning such as where you will stop or keep going if traffic lights change etc. This will greatly improve your ability to make good decisions when situations change suddenly. Mitcham Practical Driving Test Centre. Driving Test Pass Rates Mitcham Driving Test Centre. New 2017-2018 Car Pass Rate is 41.2% or by simply using The Driving Test Secret you can this increases to 66.2% *, what are you waiting for? Want to pass your driving test 1st time? Click here for information on how to pass your driving test 1st time by using DVSA ADI devised The Driving Test “SECRET”. Morden Practical Driving Test Centre. 10 Tudor Drive Morden Greater London SM4 4PE. Additional information: Toilets facilities are available. Please note there are no car parking spaces available. Arrangements can be made at this test centre if you have a disability. Please contact the DVSA to arrange prior to your test Pass Rates at this Driving Test Centre. Driving Test Pass Rates Morden Driving Test Centre. New 2017-2018 Car Pass Rate is 45.4% or by simply using The Driving Test Secret you can this increases to 70.4% *, what are you waiting for? Want to pass your driving test 1st time? Click here for information on how to pass your driving test 1st time by using DVSA ADI devised The Driving Test “SECRET”. Pinner Practical Driving Test Centre. 221 Tolcarne Drive Pinner Greater London HA5 2DZ. Bad weather telephone number: We don’t currently have this number. Driving Test Pass Rates Pinner Driving Test Centre. New 2017-2018 Car Pass Rate is 43.1% or by simply using The Driving Test Secret you can this increases to 68.1% s*, what are you waiting for? Want to pass your driving test 1st time? Click here for information on how to pass your driving test 1st time by using DVSA ADI devised The Driving Test “SECRET”. Southall Practical Driving Test Centre. 295 Allenby Road Southall, Middlesex London UB1 2HD. Bad weather telephone number: Not available. Additional information: Toilets facilities are not available. Car parking spaces are available. Pass Rates at this Driving Test Centre. Driving Test Pass Rates Southall Driving Test Centre. New 2017-2018 Car Pass Rate is 39.4% or by simply using The Driving Test Secret you can this increases to 64.4%*, what are you waiting for? Want to pass your driving test 1st time? Click here for information on how to pass your driving test 1st time by using DVSA ADI devised The Driving Test “SECRET”. Goodmayes Practical Driving Test Centre. 98 Goodmayes Road Ilford Greater London IG3 9UZ. Additional information: Toilets facilities are available. Car parking spaces are available. Arrangements can be made at this test centre if you have a disability. Please contact the DVSA to arrange prior to your test. Pass Rates at this Driving Test Centre. Driving Test Pass Rates Goodmayes Driving Test Centre. New 2017-2018 Car Pass Rate is 38.5% or by simply using The Driving Test Secret you can this increases to 63.5% *, what are you waiting for? Want to pass your driving test 1st time? Click here for information on how to pass your driving test 1st time by using DVSA ADI devised The Driving Test “SECRET”. Greenford (Horsenden Lane) Practical Driving Test Centre. 96 Horsenden Lane North Greenford Greater London UB6 7QH. Additional information: Please note there are no car parking spaces available. Toilet facilities are not available. Pass Rates at this Driving Test Centre. Driving Test Pass Rates Greenford Driving Test Centre. New 2017-2018 Car Pass Rate is 38.9% or by simply using The Driving Test Secret you can this increases to 63.9% *, what are you waiting for? Want to pass your driving test 1st time? Click here for information on how to pass your driving test 1st time by using DVSA ADI devised The Driving Test “SECRET”. Driving Test Pass Rates Greenford Driving Test Centre.New 2017-2018 Car Pass Rate is 39.6% or by simply using The Driving Test Secret you can this increases to 64.6% *, what are you waiting for? Want to pass your driving test 1st time? Click here for information on how to pass your driving test 1st time by using DVSA ADI devised The Driving Test “SECRET”. Hayes (Middlesex) Practical Driving Test Centre. Fourways House Rigby Lane Swallowfield Way Hayes Middlesex UB3 1ET. Additional information: There is limited parking available at this centre. Male and female toilets are available. Prior arrangements can be made at this test centre if you have a disability. Pass Rates at this Driving Test Centre. Driving Test Pass Rates Hayes Driving Test Centre. New 2017-2018 Car Pass Rate is 43.6% or by simply using The Driving Test Secret you can this increases to 68.6% *, what are you waiting for? Want to pass your driving test 1st time? Click here for information on how to pass your driving test 1st time by using DVSA ADI devised The Driving Test “SECRET”. Hendon Practical Driving Test Centre. 3 Aviation Drive Beaufort Park Hendon London NW9 5TZ. Additional Information: Car parking spaces are available. There are both Male and Female toilets at this test centre. Pass Rates at this Driving Test Centre. Driving Test Pass Rates Hendon Driving Test Centre. New 2017-2018 Car Pass Rate is 44.6% or by simply using The Driving Test Secret you can this increases to 69.6% *, what are you waiting for? Want to pass your driving test 1st time? Click here for information on how to pass your driving test 1st time by using DVSA ADI devised The Driving Test “SECRET”. Hither Green Practical Driving Test Centre. 42-44 Ennersdale Road Hither Green London SE13 6JD. Additional Information: Car parking spaces are available. There are both Male and Female toilets at this test centre. Driving Test Pass Rates Hither Green Driving Test Centre. New 2017-2018 Car Pass Rate is 46.6% or by simply using The Driving Test Secret you can this increases to 71.6% *, what are you waiting for? Want to pass your driving test 1st time? Click here for information on how to pass your driving test 1st time by using DVSA ADI devised The Driving Test “SECRET”. Hornchurch Practical Driving Test Centre. 75 Station Lane Hornchurch Greater London RM12 6JX. Driving Test Pass Rates Hornchurch Driving Test Centre. New 2017-2018 Car Pass Rate is 46.7% or by simply using The Driving Test Secret you can this increases to 71.7% *, what are you waiting for? Want to pass your driving test 1st time? Click here for information on how you can pass your driving test 1st time by using DVSA ADI devised The Driving Test “SECRET”. Barking Practical Driving Test Centre. 84 Tanner Street Barking Essex IG11 8QF. Driving Test Pass Rates Barking Driving Test Centre. New 2017-2018 Car Pass Rate is 34.3% or by simply using The Driving Test Secret you can this increases to 59.3% *, what are you waiting for? Want to pass your driving test 1st time? Click here for information on how you can pass your driving test 1st time by using DVSA ADI devised The Driving Test “SECRET”. Barking (Town Quay) Practical Driving Test Centre. Driving Test Pass Rates Barking (Town Quay) Driving Test Centre. New 2017 Car Pass Rate is 37.1% or by simply using The Driving Test Secret you can this increases to 62.1% *, what are you waiting for? Want to pass your driving test 1st time? Click here for information on how you can pass your driving test 1st time by using DVSA ADI devised The Driving Test “SECRET”. Barnet Practical Driving Test Centre. Raydean House 15/17 Western Parade Barnet Middlesex EN5 1AD. Driving Test Pass Rates Barnet Driving Test Centre. New 2017-2018 Car Pass Rate is 39.2% or by simply using The Driving Test Secret you can this increases to 64.2% *, what are you waiting for? Want to pass your driving test 1st time? Click here for information on how you can pass your driving test 1st time by using DVSA ADI devised The Driving Test “SECRET”. Wanstead (Hermon Hill) Practical Driving Test Centre. 2 Devon House Hermon Hill Wanstead London E11 2AW. Driving Test Pass Rates Wanstead Driving Test Centre. New 2017-2018 Car Pass Rate is 33.4% or by simply using The Driving Test Secret you can this increases to 58.4% *, what are you waiting for? Want to pass your driving test 1st time? Click here for information on how you can pass your driving test 1st time by using DVSA ADI devised The Driving Test “SECRET”. Wood Green Practical Driving Test Centre. The Gatehouse Woodhall House Lordship Lane Wood Green London N22 5JW. Driving Test Pass Rates Wood Green Driving Test Centre. New 2017-2018 Car Pass Rate is 38.5% or by simply using The Driving Test Secret you can this increases to 63.5% *, what are you waiting for? Want to pass your driving test 1st time? Click here for information on how you can pass your driving test 1st time by using DVSA ADI devised The Driving Test “SECRET”. Tottenham Practical Driving Test Centre. Additional information. Male and Female toilets are available. Park in designated bays close to Annex building and report to the entrance lobby. Driving Test Pass Rates Tottenham Driving Test Centre. New 2017-2018 Car Pass Rate is 37.7% or by simply using The Driving Test Secret you can this increases to 62.7% *, what are you waiting for? Want to pass your driving test 1st time? Click here for information on how you can pass your driving test 1st time by using DVSA ADI devised The Driving Test “SECRET”. Sidcup Practical Driving Test Centre. 2 Crayside 5 Arches Business estate Maidstone Rd Sidcup Greater London DA14 5AG. Driving Test Pass Rates Sidcup Driving Test Centre. New 2017-2018 Car Pass Rate is 45.1% or by simply using The Driving Test Secret you can this increases to 70.1% *, what are you waiting for? Want to pass your driving test 1st time? Click here for information on how you can pass your driving test 1st time by using DVSA ADI devised The Driving Test “SECRET”. We would always suggest arriving for your practical car test in good time, approximately 10 minutes before the time of your test is a good guideline. Remember to give yourself enough time to get to the test centre allowing for traffic and roadworks etc. If you are late for your test you may not be allowed to take your test and you will lose your test fee. Tolworth Practical Driving Test Centre. Douglas House 1b Douglas Road Tolworth Greater London KT6 7RZ. Driving Test Pass Rates Tolworth Driving Test Centre. New 2017-2018 Car Pass Rate is 49.5% or by simply using The Driving Test Secret you can this increases to 74.5% *, what are you waiting for? Want to pass your driving test 1st time? Click here for information on how you can pass your driving test 1st time by using DVSA ADI devised The Driving Test “SECRET”. Kent DVSA Practical Driving Test Centres. Ashford (Kent) Practical Driving Test Centre. Ground Floor, Civic Centre, Tannery Lane Ashford TN23 1PL. New 2017-2018 Car Pass Rate is 44.6% or by simply using The Driving Test Secret you can this increases to 69.6% *. what are you waiting for? Want to pass your driving test 1st time? Click here for information on how you can pass your driving test 1st time by using DVSA ADI devised The Driving Test “SECRET”. Canterbury Practical Driving Test Centre. 25 New Dover Road Canterbury Kent CT1 3AS. Driving Test Pass Rates Canterbury Driving Test Centre. New 2017-2018 Car Pass Rate is only 46.8% or by simply using The Driving Test Secret you can this increases to 71.8% *, what are you waiting for? Want to pass your driving test 1st time? Click here for information on how you can pass your driving test 1st time by using DVSA ADI devised The Driving Test “SECRET”. Folkestone Practical Driving Test Centre. Palting House Trinity Road Folkestone Kent CT20 2RH. Driving Test Pass Rates Folkestone Driving Test Centre. New 2017-2018 Car Pass Rate is only 43.3% or by simply using The Driving Test Secret you can this increases to 68.3% *, what are you waiting for? Want to pass your driving test 1st time? Click here for information on how you can pass your driving test 1st time by using DVSA ADI devised The Driving Test “SECRET”. Gillingham Mptc Driving Test Centre. Unit 1 Astra Park Courteney Road Gillingham ME8 0RZ. Driving Test Pass Rates Gillingham Driving Test Centre. New 2017-2018 Car Pass Rate is only 47.9% or by simply using The Driving Test Secret you can this increases to 72.9% *, what are you waiting for? Want to pass your driving test 1st time? Click here for information on how you can pass your driving test 1st time by using DVSA ADI devised The Driving Test “SECRET”. Herne Bay MPTC Driving Test Centre. Alfira Business Park Margate Road Thanet Way Herne Bay CT6 6LA. Driving Test Pass Rates Herne Bay Driving Test Centre. New 2017-2018 Car Pass Rate is only 42.3% or by simply using The Driving Test Secret you can this increases to 67.3% *, what are you waiting for? Want to pass your driving test 1st time? Click here for information on how you can pass your driving test 1st time by using DVSA ADI devised The Driving Test “SECRET”. Belvedere Practical Driving Test Centre. 33 Woolwich Road Belvedere Kent DA17 5EE. Driving Test Pass Rates Belvedere Driving Test Centre. New 2017-2018 Car Pass Rate is only 32.9% or by simply using The Driving Test Secret you can this increases to 57.9% *, what are you waiting for? Want to pass your driving test 1st time? Click here for information on how you can pass your driving test 1st time by using DVSA ADI devised The Driving Test “SECRET”. Maidstone Practical Driving Test Centre. Unit 1 North Court South Park Business Village Armstrong Road Maidstone ME15 6JZ. Driving Test Pass Rates Maidstone Driving Test Centre. New 2017-2018 Car Pass Rate is only 43% or by simply using The Driving Test Secret you can this increases to 68%*, what are you waiting for? Want to pass your driving test 1st time? Click here for information on how you can pass your driving test 1st time by using DVSA ADI devised The Driving Test “SECRET”. Sevenoaks Practical Driving Test Centre. 45 Argyle Road Sevenoaks Kent TN13 1HJ. Driving Test Pass Rates Sevenoaks Driving Test Centre. New 2017-2018 Car Pass Rate is only 53.3% or by simply using The Driving Test Secret you can this increases to 78.3% *, what are you waiting for? Want to pass your driving test 1st time? Click here for information on how you can pass your driving test 1st time by using DVSA ADI devised The Driving Test “SECRET”. Click here for information on how you can reduce the cost of your driving lessons or have extra lessons before your test. Tunbridge Wells Practical Driving Test Centre. 8 Upper Grosvenor Road Tunbridge Wells Kent TN1 2ES. Driving Test Pass Rates Tunbridge Wells Driving Test Centre. New 2017-2018 Car Pass Rate is only 50.7% or by simply using The Driving Test Secret you can this increases to 75.7% *, what are you waiting for? Want to pass your driving test 1st time? Click here for information on how you can pass your driving test 1st time by using DVSA ADI devised The Driving Test “SECRET”. West Wickham (Kent) Practical Driving Test Centre. 56 Glebe Way West Wickham Kent BR4 0RL. Driving Test Pass Rates West Wickham Driving Test Centre. Surrey DVSA Practical Driving Test Centres. Chertsey Practical Driving Test Centre. Unit 4, The Forum Hanworth Industrial Estate Hanworth Lane Chertsey KT16 9JX. Additional information. Car parking is available at this test centre. There are male and female toilets. There is access to this test centre by wheelchair. Driving Test Pass Rates Chertsey Driving Test Centre. New 2017-2018 Car Pass Rate is only 51% or by simply using The Driving Test Secret you can this increases to 76% *, what are you waiting for? Want to pass your driving test 1st time? Click here for information on how you can pass your driving test 1st time by using DVSA ADI devised The Driving Test “SECRET”. Guildford L + LGV Driving Test Centre. Slyfield Industrial Estate off Moorfield Road Guildford Surrey GU1 1SA. Driving Test Pass Rates at Guildford Driving Test Centre. New 2017-2018 Car Pass Rate is only 52.7% or by simply using The Driving Test Secret you can this increases to 77.7% *, what are you waiting for? Want to pass your driving test 1st time? Click here for information on how you can pass your driving test 1st time by using DVSA ADI devised The Driving Test “SECRET”. Reigate Practical Driving Test Centre. 7 Slipshatch Road` Woodhatch Reigate Surrey RH2 8HA. Driving Test Pass Rates at Reigate Driving Test Centre. New 2017-2018 Car Pass Rate is only 45.8% or by simply using The Driving Test Secret you can this increases to 70.8% *, what are you waiting for? Want to pass your driving test 1st time? Click here for information on how you can pass your driving test 1st time by using DVSA ADI devised The Driving Test “SECRET”. Sussex DVSA Practical Driving Test Centres. Eastbourne Practical Driving Test Centre. 1 Coastguard Cottages 84 Wartling Road Sussex BN22 7PT. Driving Test Pass Rates at Eastbourne Driving Test Centre. Hastings (Ore) Practical Driving Test Centre. Brookway Business Park, Ivy House, Ore, Hastings, East Sussex, TN35 4NN. Driving Test Pass Rates at Hastings Driving Test Centre. New 2017-2018 Car Pass Rate is only 44% or by simply using The Driving Test Secret you can this increases to 69% *, what are you waiting for? Want to pass your driving test 1st time? Click here for information on how you can pass your driving test 1st time by using DVSA ADI devised The Driving Test “SECRET”. Hampshire DVSA Practical Driving Test Centres. Basingstoke Practical Driving Test Centre. Brighton Hill Centre Basingstoke Hampshire RG22 4LR. Driving Test Pass Rates Basingstoke Driving Test Centre. New 2017-2018 Car Pass Rate is only 45.6% or by simply using The Driving Test Secret you can this increases to 70.6% *, what are you waiting for? Want to pass your driving test 1st time? Click here for information on how you can pass your driving test 1st time by using DVSA ADI devised The Driving Test “SECRET”. Portsmouth Practical Driving Test Centre. Fort Southwick James Callaghan Drive Fareham PO17 6AR. Driving Test Pass Rates Portsmouth Driving Test Centre. New 2017-2018 Car Pass Rate is only 44.6% or by simply using The Driving Test Secret you can this increases to 69.6% *, what are you waiting for? Want to pass your driving test 1st time? Click here for information on how you can pass your driving test 1st time by using DVSA ADI devised The Driving Test “SECRET”. Farnborough (Aldershot) MPTC Driving Test Centre. Unit C1, Cirrus 35 Hercules Way, Aerospace Boulevard Farnborough GU14 6UU. Driving Test Pass Rates Farnborough Driving Test Centre. New 2017-2018 Car Pass Rate is only 58.4% or by simply using The Driving Test Secret you can this increases to 83.4% *, what are you waiting for? Want to pass your driving test 1st time? Click here for information on how you can pass your driving test 1st time by using DVSA ADI devised The Driving Test “SECRET”. Lee on the Solent MPTC Driving Test Centre. The Richard Sainsbury Building Daedalus Chark Lane Hants PO13 9YA. Driving Test Pass Rates Lee on the Solent Driving Test Centre. New 2017-2018 Car Pass Rate is only 55.3% or by simply using The Driving Test Secret you can this increases to 80.3% *, what are you waiting for? Want to pass your driving test 1st time? Click here for information on how you can pass your driving test 1st time by using DVSA ADI devised The Driving Test “SECRET”. Newport (Isle of Wight) Practical Driving Test Centre. 23 Medina Avenue Newport Hampshire PO30 1EL. Driving Test Pass Rates Newport Driving Test Centre. New 2017-2018 Car Pass Rate is only 52.6% or by simply using The Driving Test Secret you can this increases to 77.6% *, what are you waiting for? Want to pass your driving test 1st time? Click here for information on how you can pass your driving test 1st time by using DVSA ADI devised The Driving Test “SECRET”. Southampton (Forest Hills) Practical Driving Test Centre. Forest Hills Drive Southampton Hampshire SO18 2NT. Driving Test Pass Rates Southampton (Forest Hills) Driving Test Centre. New 2017-2018 Car Pass Rate is only 46.2% or by simply using The Driving Test Secret you can this increases to 71.2% *, what are you waiting for? Want to pass your driving test 1st time? Click here for information on how you can pass your driving test 1st time by using DVSA ADI devised The Driving Test “SECRET”. Southampton (Maybush) Practical Driving Test Centre. Green Lane Maybush Southampton SO16 9FP. Driving Test Pass Rates Southampton (Maybush) Driving Test Centre. New 2016-2017 Car Pass Rate is only 46.7% or by simply using The Driving Test Secret you can this increases to 71.7% *, what are you waiting for? Want to pass your driving test 1st time? Click here for information on how you can pass your driving test 1st time by using DVSA ADI devised The Driving Test “SECRET”. Winchester Practical Driving Test Centre. Christchurch Road Winchester Hampshire SO23 9SY. Driving Test Pass Rates Winchester Driving Test Centre. New 2017-2018 Car Pass Rate is only 51.3% or by simply using The Driving Test Secret you can this increases to 76.3% *, what are you waiting for? Want to pass your driving test 1st time? Click here for information on how you can pass your driving test 1st time by using DVSA ADI devised The Driving Test “SECRET”. Berkshire DVSA Practical Driving Test Centres. Reading Practical Driving Test Centre. 220 Elgar Road South Reading Berkshire RG2 0DE. Driving Test Pass Rates Reading Driving Test Centre. New 2017-2018 Car Pass Rate is only 48.3% or by simply using The Driving Test Secret you can this increases to 73.3% *, what are you waiting for? Want to pass your driving test 1st time? Click here for information on how you can pass your driving test 1st time by using DVSA ADI devised The Driving Test “SECRET”. Slough Practical Driving Test Centre. Grays Place Slough Berkshire SL2 5AF. Driving Test Pass Rates Slough Driving Test Centre. New 2017-2018 Car Pass Rate is only 44.4% or by simply using The Driving Test Secret you can this increases to 70.1% *, what are you waiting for? Want to pass your driving test 1st time? Click here for information on how you can pass your driving test 1st time by using DVSA ADI devised The Driving Test “SECRET”. 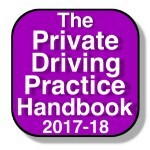 Oxfordshire DVSA Practical Driving Test Centres. Banbury Practical Driving Test Centre. 3 West Bar Street Banbury Oxfordshire OX16 9SD. Driving Test Pass Rates Banbury Driving Test Centre. New 2017-2018 Car Pass Rate is only 53.1% or by simply using The Driving Test Secret you can this increases to 78.1% *, what are you waiting for? Want to pass your driving test 1st time? Click here for information on how you can pass your driving test 1st time by using DVSA ADI devised The Driving Test “SECRET”. Newbury (Hambridge Lane ) Practical Driving Test Centre. Driving Test Pass Rates Newbury Driving Test Centre. New 2017-2018 Car Pass Rate is only 50.1% or by simply using The Driving Test Secret you can this increases to 75.1% *, what are you waiting for? Want to pass your driving test 1st time? Click here for information on how you can pass your driving test 1st time by using DVSA ADI devised The Driving Test “SECRET”. Oxford (Cowley) Practical Driving Test Centre. James Wolfe Road Cowley Oxford OX4 2PY. Driving Test Pass Rates Oxford (Cowley) Driving Test Centre. New 2017-2018 Car Pass Rate is only 49% or by simply using The Driving Test Secret you can this increases to 74 %, what are you waiting for? Want to pass your driving test 1st time? Click here for information on how you can pass your driving test 1st time by using DVSA ADI devised The Driving Test “SECRET”. Oxford (Kassam Stadium) Practical Driving Test Centre. Driving Test Pass Rates Oxford (Kassam Stadium) Driving Test Centre. New 2016 Car Pass Rate is only 50.4% or by simply using The Driving Test Secret you can this increases to 75.4% *, what are you waiting for? Want to pass your driving test 1st time? Click here for information on how you can pass your driving test 1st time by using DVSA ADI devised The Driving Test “SECRET”. Buckinghamshire DVSA Practical Driving Test Centres. Aylesbury Practical Driving Test Centre. Morgan House Walton Grove Aylesbury HP21 7SL. Driving Test Pass Rates Aylesbury Driving Test Centre. New 2017-2018 Car Pass Rate is only 48% or by simply using The Driving Test Secret you can this increases to 73% *, what are you waiting for? Want to pass your driving test 1st time? Click here for information on how you can pass your driving test 1st time by using DVSA ADI devised The Driving Test “SECRET”. Bletchley Practical Driving Test Centre. Block 4 Government Buildings Wilton Hostel Wilton Avenue Bletchley MK3 6DH. Driving Test Pass Rates Bletchley Driving Test Centre. New 2017-2018 Car Pass Rate is only 45.1% or by simply using The Driving Test Secret you can this increases to 70.1% *, what are you waiting for? Want to pass your driving test 1st time? Click here for information on how you can pass your driving test 1st time by using DVSA ADI devised The Driving Test “SECRET”. High Wycombe (Bucks) Driving Test Centre. Trenchard House Wellington Road Cressex Business Park High Wycombe Buckinghamshire HP12 3PS. Additional information: There are parking spaces available at this test centre. Please note there are no toilets in this centre. This centre also conducts Taxi tests. Driving Test Pass Rates High Wycombe Driving Test Centre. * Want a higher pass rate? 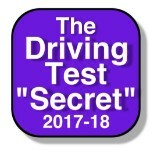 increase this too –% higher (driving test centre pass rate) by using The Driving Test “Secret” is based on the findings from experienced DVSA ADI who saw their pupils pass rate increase by over 25% when they started recommending the Driving Test Secret & Secret Revision Cards to all of their pupils. We all want to get the best deal when arranging car insurance. Whether it is insurance for your first car or you are looking at your renewal and thinking ouch that’s a lot of money, we can show you how to get the best deal. Our friends at Your Online Driving School have a great article explaining how to reduce the cost of your car insurance and how to get the best quote. So click here to find out how to get a great deal on your car insurance. The local driving test centre pass rates quoted here are gathered from the Driving & Vehicle Standards Agencies (DVSA) own official statistics. Each time a candidate (learner) takes a UK practical driving test, the result and any marks, both driving faults and any failure marks are recorded and sent to the DVSA’s head office where the figures are collated both locally for that test centre and also nationally. The DVSA no longer openly publish these figures on their website, however, we have been able to obtain these official figures and have published them here as we feel they are of interest to anyone waiting to take their practical driving test. An average pass rate of 48% would mean that if 100 candidates take the practical driving test on any given day then on average only 48 will pass and 52 candidates will fail! The most common driving faults (16 of these and you will fail) are; incorrect use of gears and not using the cars mirrors correctly. Regarding the failure marks (only 1 and you fail) the common causes are a lack of planning and awareness, plus the poor judgement of other traffic and road users. The simple answer is, of course, to drive well and to the best of your ability, however, how do you make sure you drive to the best of your ability on the driving test? Thankfully learners now have so many excellent learning aids to help them pass, such as the excellent Driving Test Secret and Driving Test Secret Revision Cards. If only every learner would take the little time and effort needed to use the “Secret” then we could quickly see the local and national pass rates increase dramatically. The reason is that although some of the failures are due to lack of practice, many are simply down to a lack of preparation for the driving test, something The Driving Test “Secret” can quickly help to address. So let us help you to help yourself.